MANILA, Philippines - The Department of Education (DepEd) and the National Educators Academy of the Philippines (NEAP) named the top passers for the 2015 National Qualifying Examination for School Heads (NQESH) also known as Principals' Test. 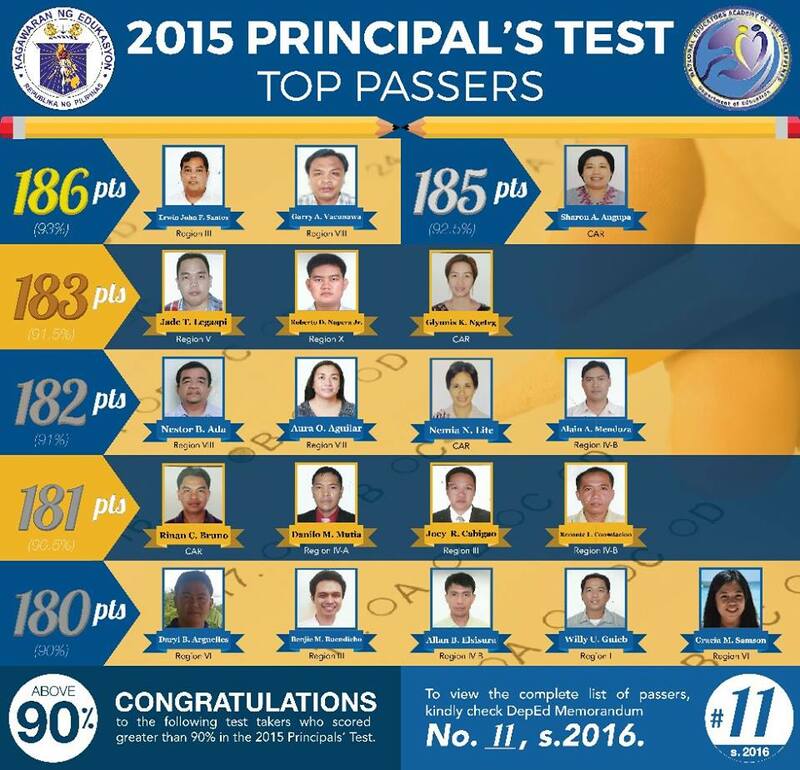 The list includes names of test takers who scored greater than 90% in the 2015 Principals' Test. As stipulated in the DM 11, s.2016, passers of the 2015 Principals' Test must have a total raw score of at least 140 points AND must meet the 68% cut-off score in ALL 7 NCBSSH Domains of the exams. DepEd on Friday, January 22, announced that 2,195 out of 18,754 test takers (11.82%) met the criteria. "The Academy would like to thank all the test takers for giving their best in the 2015 Principals' Test," NEAP said.